It’s the time of year when millions of Americans enjoy the out-of-doors. In Isabella’s novels, her characters spent summer days walking, hiking, and playing sports of all kinds. 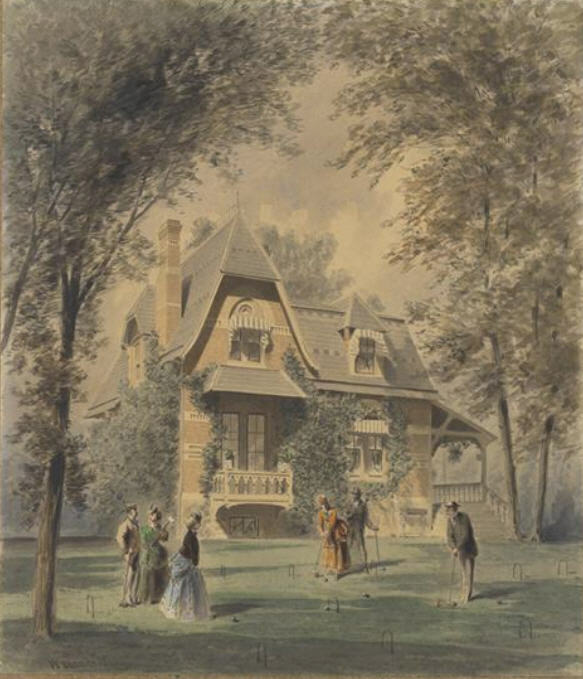 A favorite pastime for Isabella’s characters was the game of croquet, and she may very well have played the game herself. 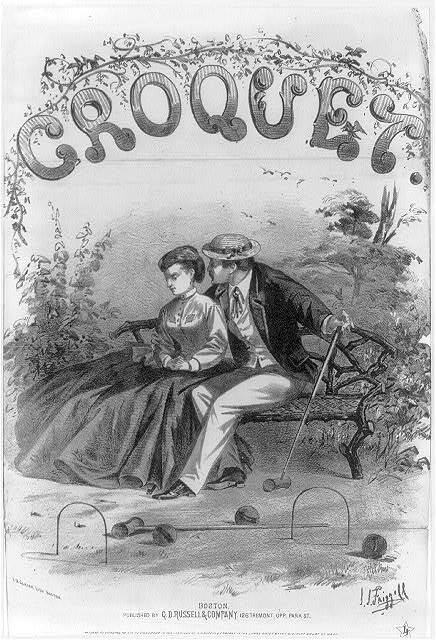 A romantic scene captured on the 1866 cover of a pamphlet on the rules of croquet. Beginning in her early twenties, Isabella made several trips over the years to the Castille Sanitarium in New York, where she was treated for health concerns. 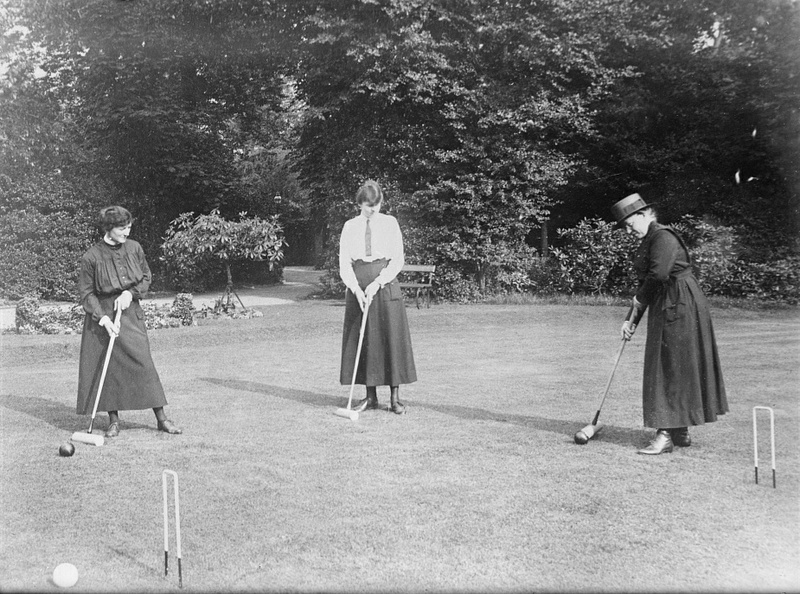 The owner of the sanitarium encouraged all her patients to play croquet, and it’s possible Isabella followed the doctor’s orders. Whether she played the game herself or not, she certainly appreciated the game. In her books, characters young and old played croquet, as did the rich and poor. No matter what their circumstances, croquet brought her characters together. In Cunning Workmen, Sunday-school teacher Mr. Hammond attends a young people’s party where he notices that Peter, one of his young charges, isn’t participating in any of the games. Peter’s honest face grew red and troubled. “Well?” his teacher said, in kindly inquiry. 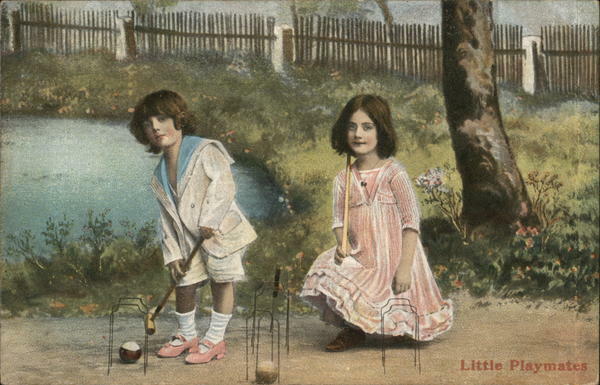 Leave it to Isabella to find a way to teach a lesson through a simple game of croquet! 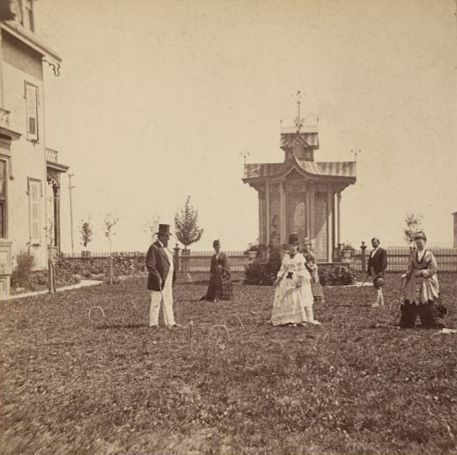 Playing croquet in Cape May, New Jersey, 1875. She also used the game to show readers the motivations and mindset of her characters. 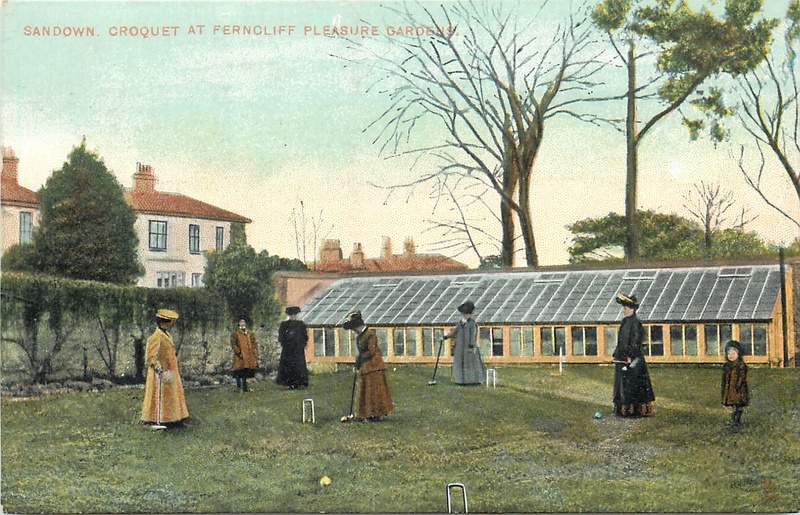 That was the case with the Reverend Mr. Tresevant in The King’s Daughter, when he decided to play croquet rather than attend a temperance meeting. Later, in Wise and Otherwise, the next book in the series, Mr. Tresevant makes a fateful decision. When a little neighborhood boy is extremely ill and lay dying in his bed, the entire town, including Dr. Douglass, went in search of the Reverend Mr. Tresevant. “I did,” relaxing into gloom and laconic answers. “What did he say?” Mrs. Douglass was entirely accustomed to cross-questioning her husband, and understood the process thoroughly. The lady opposite him set down her cup that had nearly reached her lips and looked at her husband, while an expression of mingled doubt and dismay spread over her face. “Dr. Douglass! Did you tell him the child was dying, and that they had been in search of him?” she asked in shocked tones. Now, the question is, was Mr. Tresevant’s heart so bound up in the game of croquet that he could not even leave it to answer a summons from the dying? A tense moment in a game of croquet, 1918. In the novel, Isabella does go on to explain the reasons Mr. Tresevant would not leave his croquet game to pray with the family of a dying child; and in doing so, she tells us much about the state of Mr. Tresevant’s heart and soul. 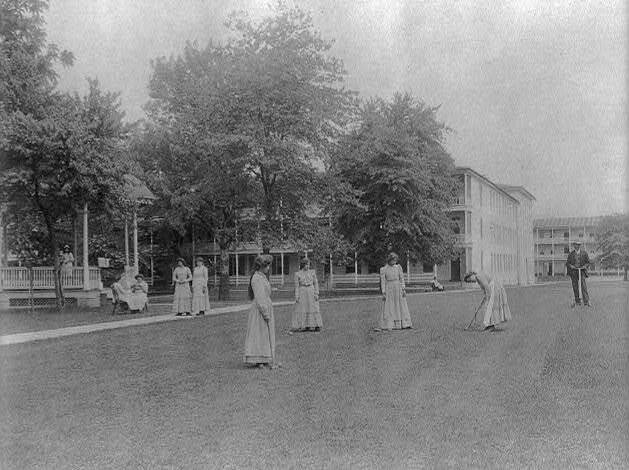 Students play croquet at girls school in Pennsylvania, 1901. In all, Isabella mentioned the game of croquet in at least nine novels. Sometimes she used the game to introduce topics of right and wrong Christian behavior, as in the discussion above from Cunning Workmen. Other times she simply used it as a way for her characters to enjoy each other’s company on a bright summer afternoon. How about you? Have you ever played croquet? What do you like most about the game? You can find out more about Isabella Alden’s stay at the Castille Sanitarium in New York. Click here to read the post. In The King’s Daughter, the heroine of the story is Miss Dell Bronson, a fashionable young lady, raised in the lap of Boston luxury by a wealthy aunt and uncle. In writing about Dell, Isabella described her as dainty, neat, and graceful. Dell was always fashionably, but tastefully dressed; and because of her uncle’s wealth, Dell was able to afford the latest styles of dress and accessories. A sterling silver porte-monnaie. It’s long shape suggests it was ideal for carrying in a pocket. One of Dell’s accessories was a porte-monnaie, which she carried in her skirt pocket. 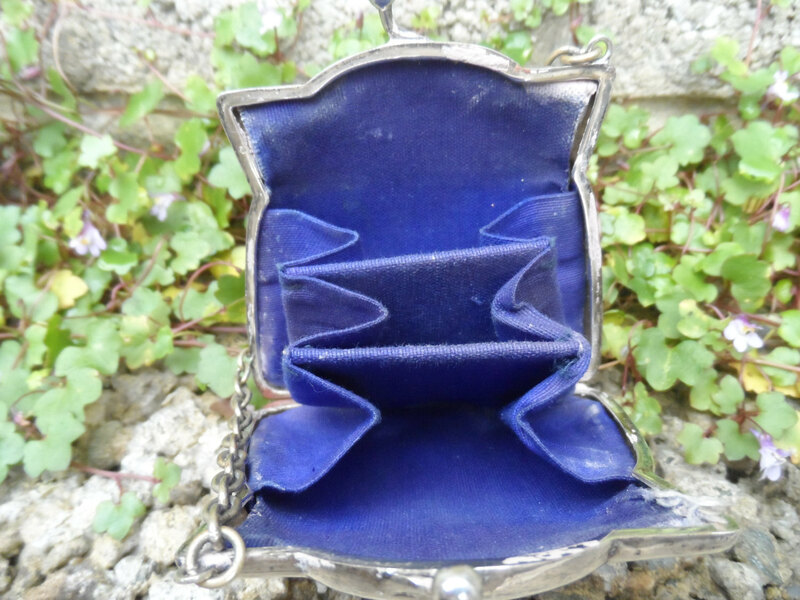 A silver porte-monnaie, lined in blue leather. From Etsy. The blue leather interior of the silver porte-monnaie features bellows to separate coin denominations. From Etsy. Literally, a porte-monnaie was a place for money—specifically coins. In the 19th and early 20th centuries, men and women carried their paper money and coins separately. Paper bills were carried flat in wallets or bill-folds, but all the many coins in circulation at the time were usually carried in porte-monnaies. A two-cent piece, in circulation until 1873. It was the first American coin to carry the motto, In God We Trust. 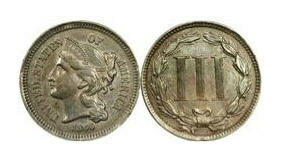 The three-cent piece, made of nickel, was in circulation until 1889. And gold coins (also known as Eagles) weren’t uncommon. They were minted in denominations of $1, $2.50, $5, $10, and $20. 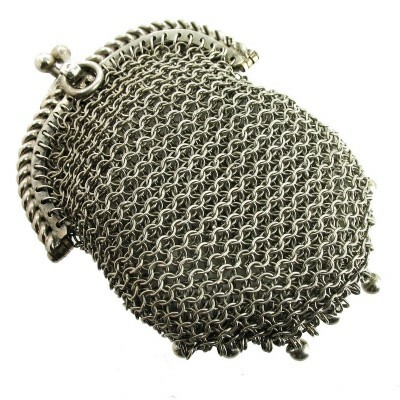 Carried by both men and women, porte-monnaies were made of sturdy material, such as leather or silver. 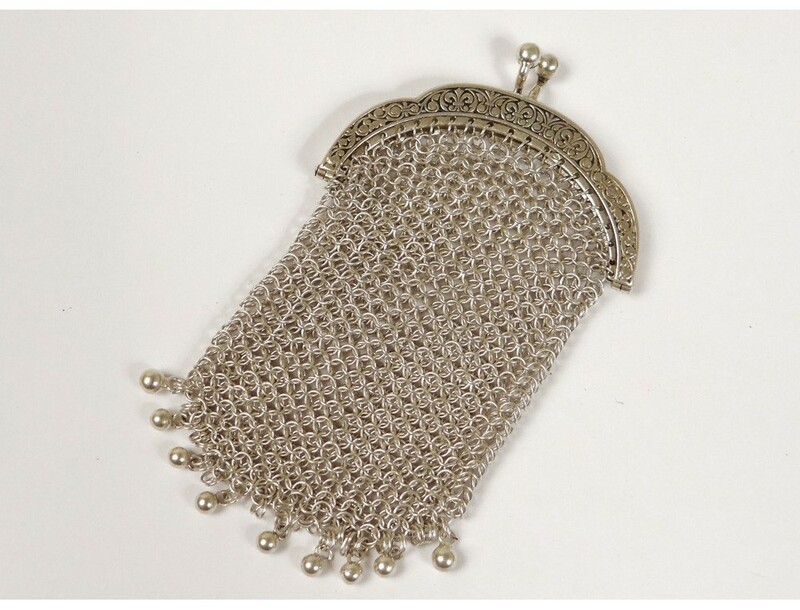 At home, women kept their porte-monnaie in the pocket of their skirt or apron. 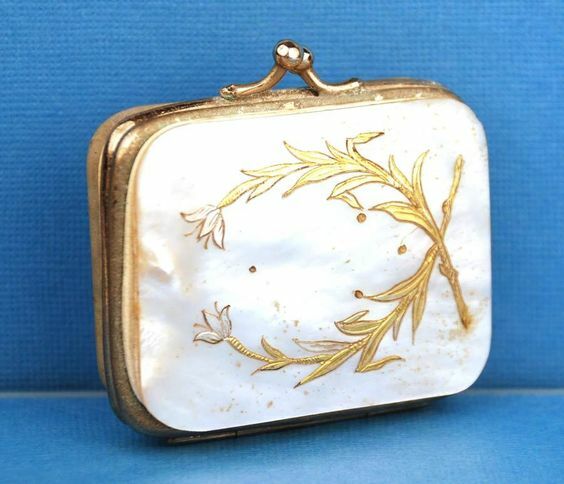 Outside the home, women would often tuck their porte-monnaie inside their purse or reticule. 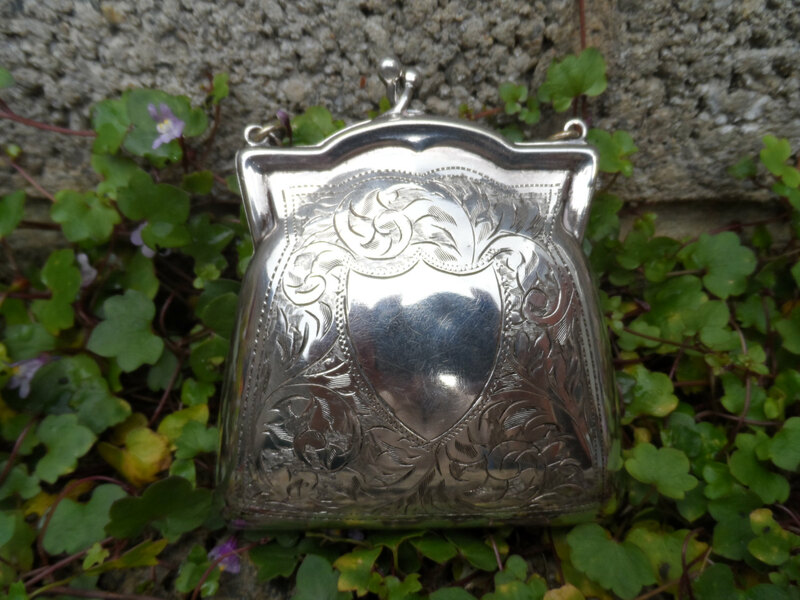 Antique silver porte-monnaie. The center emblem has a space for engraving the initials of the owner. From Pinterest. Men kept a porte-monnaie in a desk drawer at home, and carried it in a pocket while out and about. 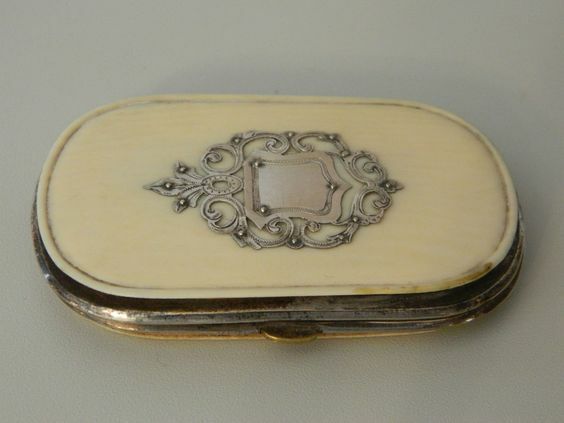 A French porte-monnaie made of mother-of-pearl, with brass and silver inlay. From Pinterest. References to porte-monnaies date as far back as the 1850s but the term came into fashion during the American Civil War, when Americans considered anything French to be the height of fashion. At the height of her popularity, Isabella Alden was one of the most widely-read authors in the world. One of the things that made her so popular—and unique—was the varying ages of her readers: she had just as many children who were dedicated fans of her books as she had adult fans. And they all wrote letters to her. 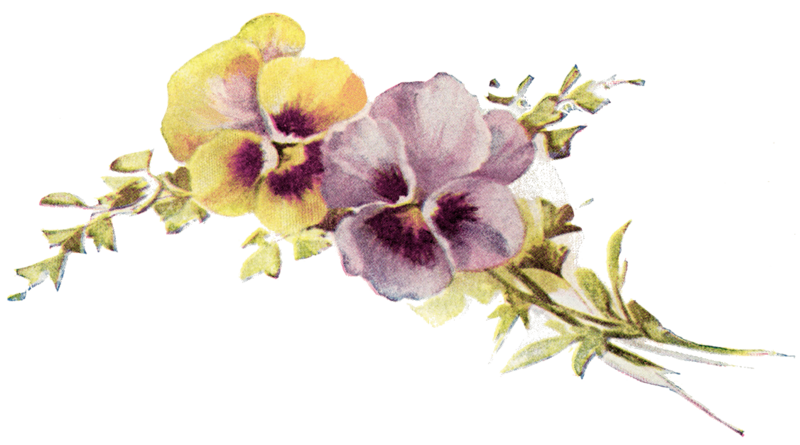 She received letters by the thousands, addressed to her publisher, to her home, and to the offices of her magazine, The Pansy. And she answered them all! 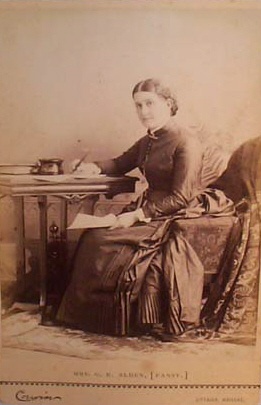 Isabella Alden in an undated photograph. Some fans wrote to request her autograph and a photo. Others asked for advice on how to become a great author or they sent their own manuscripts and asked for her opinion. Some asked for advice on other topics, from how to get a good husband to the best way to stop fingernail biting. One fan even asked for pieces of her best dress so they could be sewn into a patchwork quilt the fan was sewing! But the fan mail Isabella received most often was about her book Ester Ried. Ester Ried was incredibly popular and prompted scores of readers to send Isabella letters thanking her for the book’s message. Fans wrote to Isabella about how they saw themselves in Ester’s struggles and her impatience with life’s daily annoyances. But mostly, readers identified with the lessons Ester learned; they took to heart the promise that God would bring peace and happiness to their lives, if only they trusted in Him. What started as a single book soon blossomed into an ongoing series. The Ester Ried series gave fans of the original book glimpses into the lives of the characters they loved. Readers grabbed up each new story about the Ried family members and their trials as they grew up, married, and learned to trust God to help them through a sometimes difficult world. Two years after Ester Ried was published came Julia Ried, a sequel that focused on Ester’s younger sister Julia and the lessons she learns about faith in times of temptation. It also brought readers up to date on Abbie Ried’s story after the tragic turn her life took in Ester Ried. The following year Isabella published the third book in the series, The King’s Daughter. In this book Isabella introduced the character of Miss Dell Bronson. Unlike Ester or Julia, Dell was rock solid in her faith and trusted God in her daily life, but she still had challenges to face. And she still had lessons to learn in Wise and Otherwise, the next book in the series. Isabella commissioned her best friend Theodosia Foster to write book five. Echoing and Re-Echoing (written under Theodosia’s pen name Faye Huntington) centers around Ralph Ried, Abbie’s brother, who, as a new minister, struggles to reach his flock through his Sunday sermons. Isabella’s fans particularly loved the sixth book in the series, Ester Ried Yet Speaking, because it included the character of Flossy Shipley. Flossy was originally introduced to readers in Four Girls at Chautauqua. In Ester Ried Yet Speaking readers got to find out what happened to Flossy after her marriage to Evan Roberts. They also met Dr. Everett, Hester Mason, and Joy Saunders, who were the main characters in Isabella’s later book, Workers Together; An Endless Chain. Isabella waited nine years before she published Ester Ried’s Namesake. It was intended to be the last book in the series, but fans wrote to beg for more. 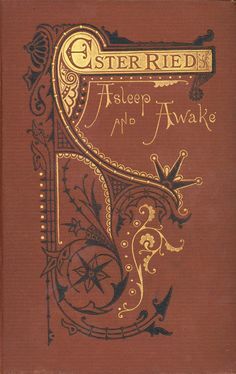 Even Isabella’s niece, Grace Livingston Hill, encouraged her to write “one more long story.” Grace suggested she write about Ester Ried’s granddaughter or great-granddaughter, and thereby reach an entirely new generation of readers with the original book’s message. Many fans of the series think the Ester Ried books are perfect, just as they are; the only difference is that today’s readers have the option to read the books electronically. A new generation of Ester Ried e-books is available on Amazon and other e-book retail sites. Boxed set e-book cover for Ester Ried, the Complete Series. Have you read the books in the Ester Ried Series? Which book is your favorite? You can click on any of the book covers in this post to find out more about each title. If you are at a loss how to proceed, which way to turn, remember your Father’s letter of full and explicit instructions. Go to it and Him for direction. Following this rule there is no possibility of mistakes.